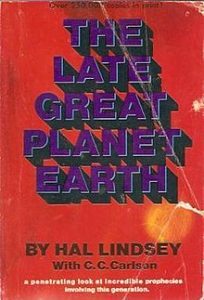 The evangelical Protestant writer Hal Lindsey is probably best known for writing a book titled The Late Great Planet Earth decades ago. That book went into various aspects of prophecy–many of which were in error–as well as several items Hal Lindsey currently erroneously teaches (see, for example, Is There A Secret Rapture for the Church? When and Where is the Church Protected?). Are crytocurrencies consistent with the Beast of Revelation? We are getting closer to the time of the end. Sweden going to ‘666’ cashlessness? Sweden continues to reduce the amount of currency notes and coins in circulation as more and more Swedes turn to digital forms of payments. Even ‘farmers’ markets’ take debit and credit cards. Will this eliminate crime or lead to the rise of the Beast and Antichrist power? Could what is happening in Sweden be a prelude to the control of buying and selling that Revelation 13:16-18 associates with 666? Dr. Thiel addresses these issues from Stockholm, Sweden. This entry was posted on Monday, January 22nd, 2018 at 4:00 pm	and is filed under Prophecy. Tyranny of a cashless society–is that biblical?